As business moves online, every company tends to focus its marketing strategy and efforts across digital channels. As a result, in today’s crowded marketplace, businesses (both B2B and B2C) are fighting to get their brands noticed online. Digital marketers are obsessed with pay-per-click models, but that doesn’t mean companies should forget about offline marketing strategies. In the digital world, 40% of online consumers make a purchase after being influenced by an offline channel. Evidence shows that offline marketing can still be as powerful as it once was with 21% of companies predicting they will increase their spend on offline marketing in the future. Among offline marketing strategies, guerrilla marketing is a low-cost marketing tactic that is interesting for startups due to its affordability. What exactly is Guerrilla Marketing? Guerrilla Marketing is an advertising strategy that focuses on low-cost unconventional marketing tactics that yield maximum results. The main point of guerrilla advertising is that the activities are done mainly in public places. The original term was coined by Jay Conrad Levinson in his 1984 book ‘Guerrilla Advertising’. The term guerrilla marketing was inspired by guerrilla warfare which is a form of irregular warfare and relates to the small tactic strategies used by armed civilians. Many of these tactics includes ambushes, sabotage, raids and elements of surprise. Much like guerrilla warfare, guerrilla marketing uses the same sort of tactics in the marketing industry. Guerrilla Marketing is about taking the consumer by surprise, making an indelible impression and creating copious amounts of social buzz. Guerrilla marketing is said to make a far more valuable impression with consumers in comparison to more traditional forms of advertising and marketing. This is due to the fact that most guerrilla marketing campaigns aim to strike the consumer at a more personal and memorable level. Guerrilla marketing is often ideal for small businesses that need to reach a large audience without breaking the bank. It also is used by big companies in grassroots campaigns to complement ongoing mass media campaigns. When it comes to a cost and result effective marketing strategy, vehicle branding will be a wise choice to make you stand out from other competitors. This Guerrilla marketing idea is suitable for both B2B and B2C companies to reinforce their brand awareness and value locally. A branded vehicle is a great way to gain recognition and to instantly grab attention in a local area. You may past people who have the potential to be great customers and take opportunity to reach your audience. Branding your company’s car, motorbike, van or other vehicle can also help generate direct sales. It’s not unusual for people to be sitting beside you at traffic and taking note of your business. Moreover, a branded vehicle also helps create a professional image for your business and build trust with your target audience. Meanwhile, parking in your suburb helps show off your company to the local neighborhood. Vehicle signage comes in many different forms, including magnetic signage and vinyl wrapping. A vinyl wrap can cover a specific portion of your vehicle or the entire thing. This form can generate from 30,000 to 80,000 views per day, per vehicle, depending on where it’s driven. 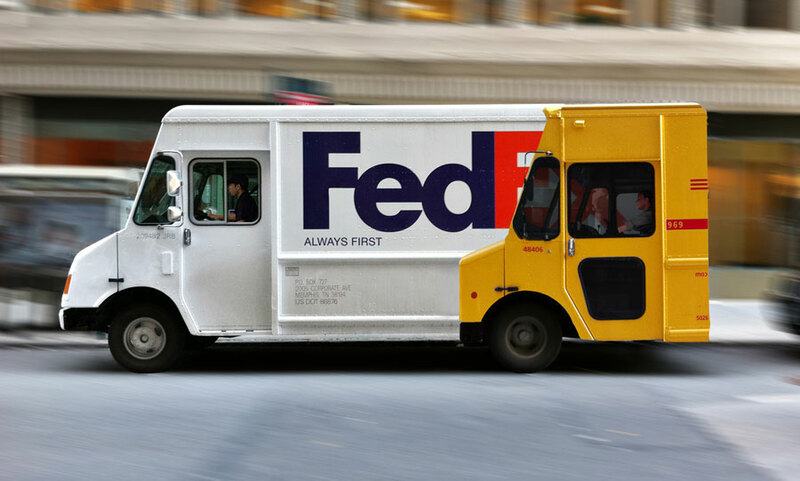 This means in terms of reach, value, ROI…, vehicle wraps can be a cost-efficient and long-lasting part of an integrated marketing strategy. Meanwhile, the magnetic marketing sign may serve certain businesses better. These signs can be added, removed or maneuvered from one position to another in seconds while being just as visibly attractive and impressionable as their vinyl counterparts. 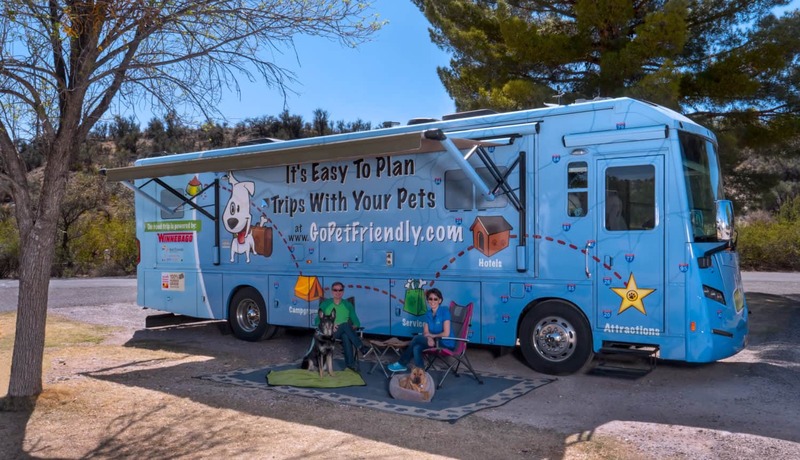 GoPetFriendly is a typical example of successfully applying vehicle branding as Guerrilla marketing strategy. They included company’s website as well as their main services with adorable images of pets on their own cars and trucks. The unsurprising result was that they saw more website visits from locations where their vehicles were parked. The name billboard is derived from the term “billing board,” and is a large outdoor advertising space designed to capture the attention of motorists and pedestrians. Typically placed around high traffic areas (both automotive and foot traffic), billboards are meant to be simple, striking, and creative. Regular billboards are great enough to grab attention of viewers. However, you can stay out of the box by creating 3D billboards, which may produce much better effects. This style of Guerrilla marketing can be relatively inexpensive depending on the size and location. However, this expense must be weighed against the kind of message you want to get across. As a general rule of thumb, billboards are a very quick read, and therefore should not contain a lot of information. If the purpose of your campaign is for awareness and branding, billboard advertising is a great option. If you want to convey a lot of information about your product or service, billboard should be avoided. It is believed that six words are the ideal amount of letter on a billboard. Several companies utilize billboard as a marketing strategy, varying from startups to large corporations, from B2C companies to B2B companies. 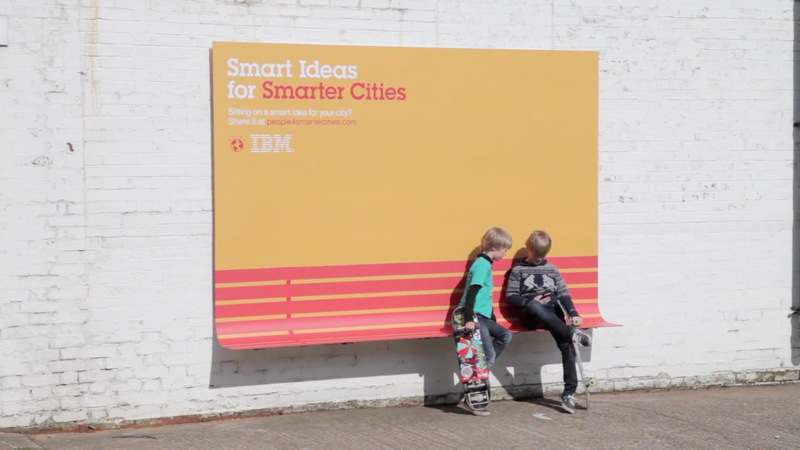 A brilliant example if the one of IBM: to run the “Smarter cities” campaign, IBM set up various city-friendly billboards in public places. The billboards were firstly colourful, with a play on a park bench, a slide for lifting luggage upstairs, etc and more importantly they were not at all strictly technology-related. As an example, by simply adding a curve to the billboard, the piece of advertising had become a seat or cover so that people didn’t get wet while waiting for the bus. Even startups fall in love with these billboard ideas. 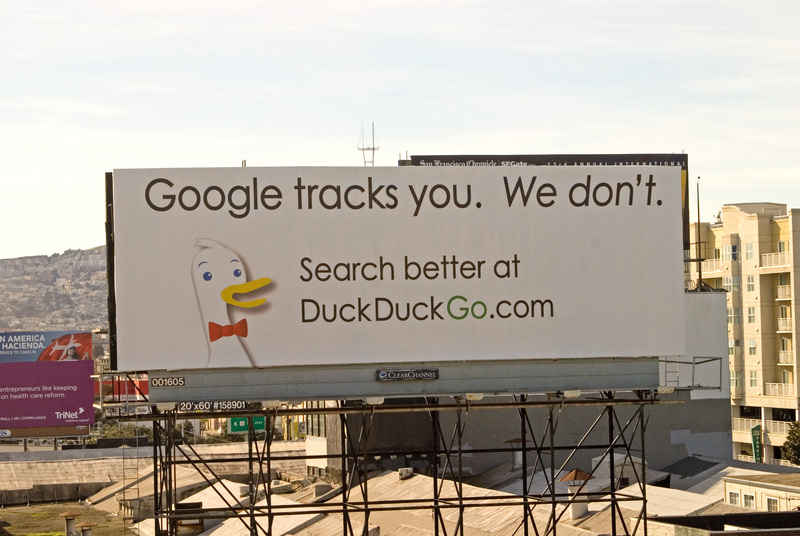 DuckDuckGo – an Internet search engine startup, paid $7,000 for a billboard in San Francisco that declared, “Google tracks you. 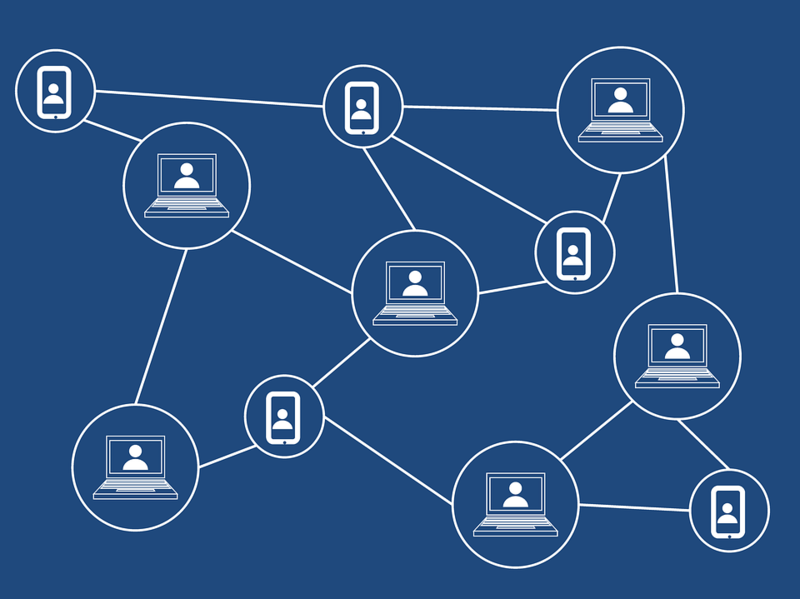 We don’t.” The traffic doubled after the site got attention on Hacker News and StumbleUpon and was up to about 160,000 queries a day, which equated to about 5 million queries a month at that time. Shall we try a new search engine? Promoting products or services on public transportation is called transit advertising. This kind of Guerrilla marketing can take place in buses, trains, subways, bus stops, railway stations, etc. Advertisement on public transportation is preferable because your audience will just not be able to evade your advertisement by changing channels, or fast-forwarding like they can do while watching TV or listening to the radio. Moreover, when a person is sitting on a train or a bus, it’s just impossible to ignore your advertisement because it’s hanging right in front of them all the time. With transit advertisement, you can target a wide range of audience of different ages and income groups. By studying the demography of the commuters, you can choose the mode of public vehicle to display your advertisements. For example, if you are looking to target a large number of commuters, you can choose a train or subway that carries more passengers everyday. An average ride on public transportation lasts for 30 minutes where passengers have nothing else to do and nowhere to go. They spend the time viewing advertisements that are around. Your advertisement gets the chance of a longer exposure with enough time to get registered in their minds with an increased recall value. Most daily commuters travel on fixed routes at scheduled times in buses or trains, meaning they get to see your Guerrilla advertisement repeatedly. If someone is taking the same subway or the same bus line or train twice a day, it’s possible that the person might see your advertisement at least 20-25 times in a month! The more exposure, the higher chances that your advertisement creates a permanent impression on their mind, and in turn serving your purpose. Public transportation is a favorite place for startups to show off their marketing tactics. 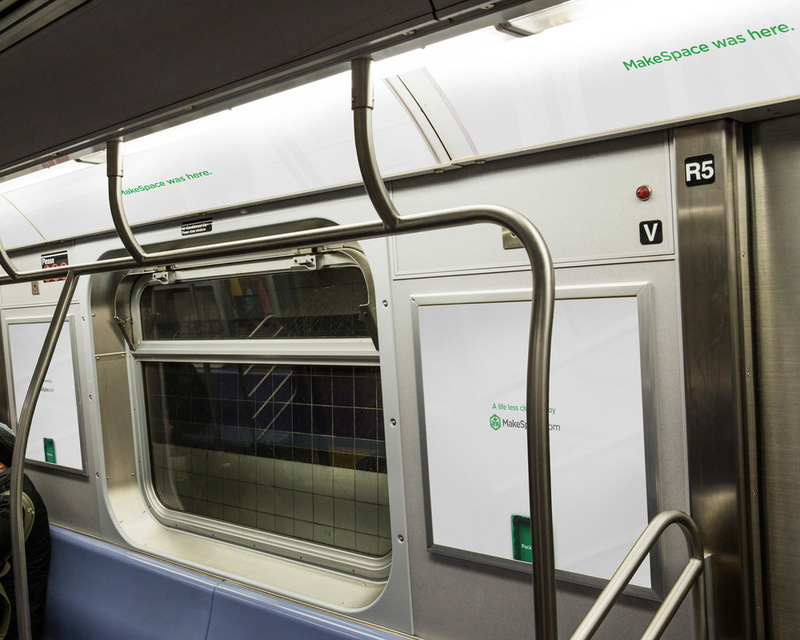 MakeSpace, a full-service storage startup, covered an entire New York subway by a series of white board with a small simple text “MakeSpace Was Here”. Difference is the point that made them to stand out from other advertisements. Another case study is Seamless, an online food delivery startup, which launched “How New York eats” campaign by setting “skyscrapers” all around subway. The target of this campaign was to capture people when they’re hungry on the way home from work, and it’s natural to drive them to download the app. Hungry on the way back home? Try Seamless! Branded merchandise can make a big impact as a Guerrilla marketing campaign. Promotional products encourage brand recall in 9 out of 10 customers, as opposed to broadcast, online, print, and mobile ads that average only 2 out of 10 customers. A branded merchandise can be defined as the item that expresses a company’s brand personality, emotionally connect with their target market, reinforce their message and engage with their customers. There are many places where you can distribute your own promotional merchandise such as trade shows, conventions, expos, conferences, meetings or special events. When customers receive promotional products, they keep them for a long period of time. In fact, studies have shown that many people keep promotional products for an average of one year or longer. This increases the brand awareness of not only the person using the promotional item, but also those who are in contact with the recipient or see them using the product. Once they keep the promotional product and use it, they become more and more familiar with your company name and therefore, more likely to purchase from you again. Promotional merchandise helps recipients remember your company and the products or service you offer when they are constantly reminded about it when using the promotional gift. Startups prefer using branded items to promote their products because of its low cost and high effectiveness. The startup T-shirt is iconic. It is said that each Silicon Valley startup has their own T-shirt. They do that with a view to the fact that people walking around the world may notice the T-shirts and their brands as well. Github, a web-based hosting service startup, has created its own T-shirt for giving away occasionally or selling to people who really enjoy the brand. 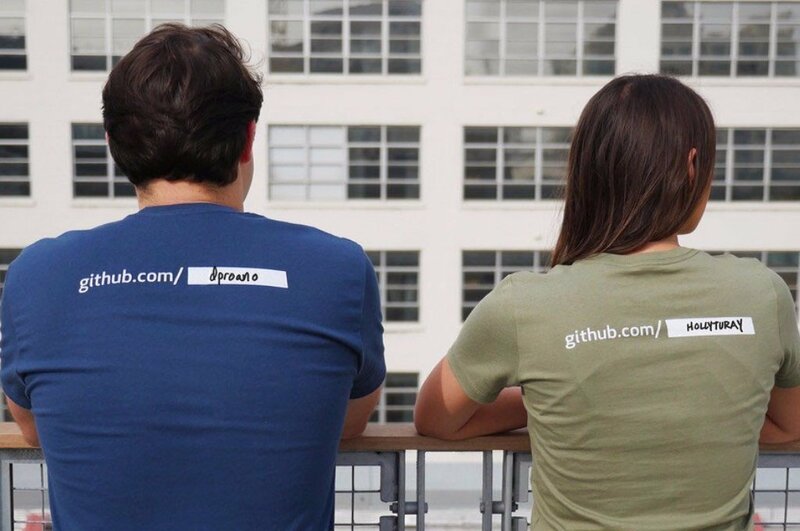 Github designed a host of cool t-shirts, including a clever fill-in-the-blank username shirt. The customized shirt excites people and makes them be more aware of Github. To use branded merchandise effectively, remember to use items that have high usability and perceived value. Some daily life products may be considered such as water bottles, hoodies, bags, journals, and hats. The more use the recipient can get out of the item, the more likely your brand will stay top-of-mind. It’s a good idea to invest in a collection of different options that collectively tell a cohesive story about your brand, without running into losses. When you have a high variety of branded lifestyle merchandise, your reach and possibility of multiple exposures to your brand tend to be high. To achieve high merchandise goals, you should consider bringing together three critical elements: creative and catchy design, a clear brand personality, and gifts that bring value to your audience. You might want to avoid fashionable or “trendy” promotional products as they tend to lose their desirability after a period of time. If the perception that brochure is too obsolete to gain customers’ attention is on your mind, think again! A Canadian research shows that 35 to 38% of households will keep products like brochures and catalogues for a month or longer. Especially if you are an online company, people will prefer to receive a physical brochure which provide specific products or services. When it comes to brochure, it is important to encourage readers to look inside. Think of benefits or thought-provoking statements that motivate the reader to pick up the brochure and open it. Add a flash that tells the reader there’s something inside that will interest them – an exclusive invitation, a free report, special discount or advance notice of sales. Putting helpful information in your brochure will encourage the reader to keep it, refer to it often or pass it on to other people. If you are running a trip advisor application, you might think of adding some attractive destinations for your audience in this winter. Remember to never limit your creativity and imagination when designing a brochure. Normally, people think the suitable size of brochure should be A4, A5… But what about the shape other than paper size? For example, you’re operating a sport venue management software, you may want to design your brochure as the shape of football or volleyball. According to Direct Magazine, a company that conducts customer satisfaction surveys for automobile insurance firms and repair shops, got a 15% response rate with a brochure delivered in a 32-ounce squeeze sports water bottle. 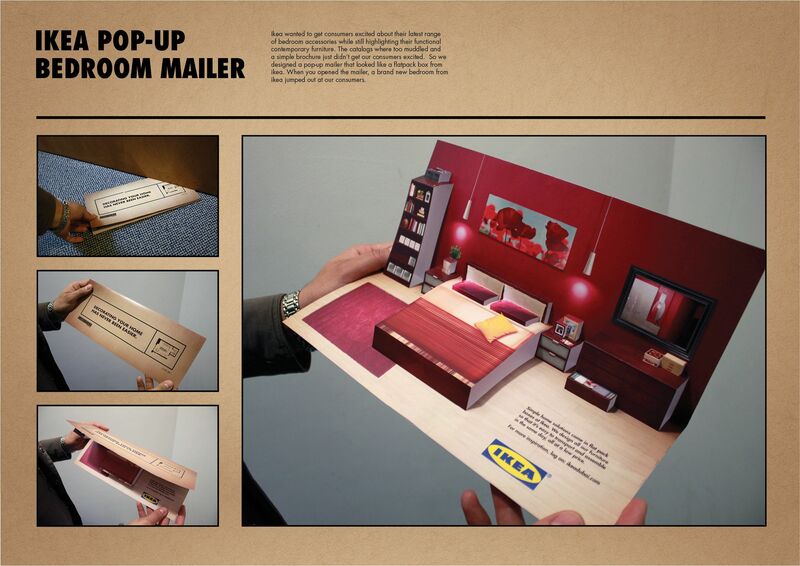 IKEA is a successful example of applying printed materials (catalog, brochure…) as marketing strategy. Around 70% of the annual marketing budget is spent on these printed advertising. Instead of making brochures in a normal shape, IKEA has really put their mind on designing it with a 3D model of furniture in eye-catching colors. The brochure not only provides brief information of IKEA’s products but also acts as a display object on the table or in the bookshelf… These creative printed advertisement has made IKEA among the most recognizable brand in the world. Regardless of how you organize your brochure, there’s only one way to end it. Call to action! If you want your reader to respond, include website address, phone number or some forms of response mechanism. In fact, to increase your brochures selling power, you should include your offer and a response method on every page. On average, each person is exposed to about 5,000 advertisements per day. The concern of every company is that how to stand out from other 4,999 advertisements. Guerrilla Marketing is somehow an answer for this tough question. By applying unconventional and creative Guerilla Marketing strategy, your company can converse more prospects. Other than 5 above ideas, do you have any other to share with us? Let’s comment and tell us the result of your marketing ideas!